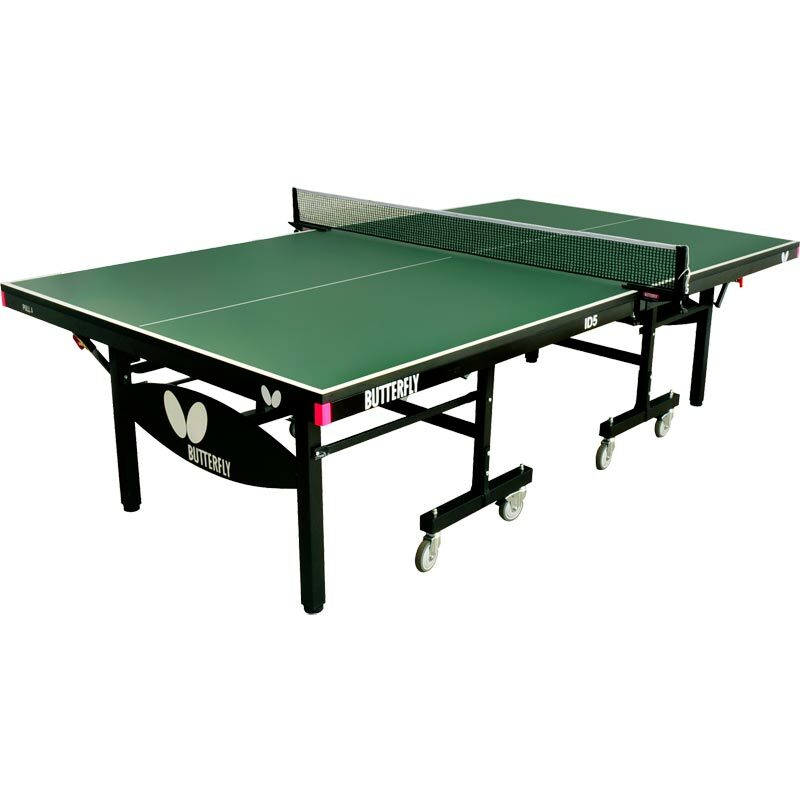 The Butterfly ID5 Table Tennis Table is a quality match table suitable for clubs, sports centres or schools. 8-wheel/ID4 specification rollaway system for easy rollaway before and after use. Front brakes on each half for use in storage and play positions. Height adjusters on all four end legs. Confirms and certificate issue for the CEN Norm EN 14468-1. 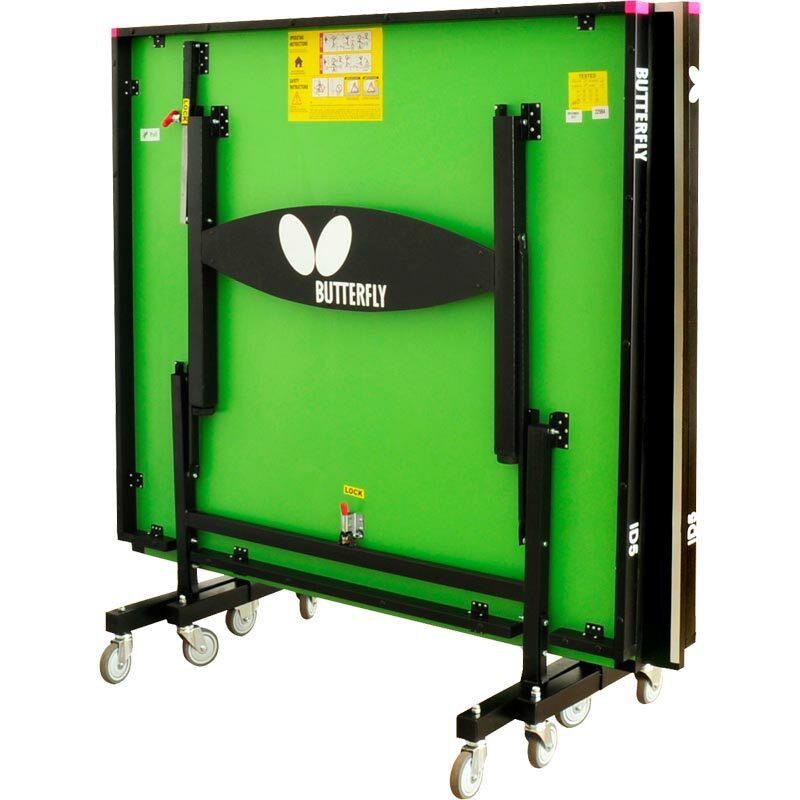 Supplied with a Butterfly National League net and post set. Ready assembled, just add the wheels. 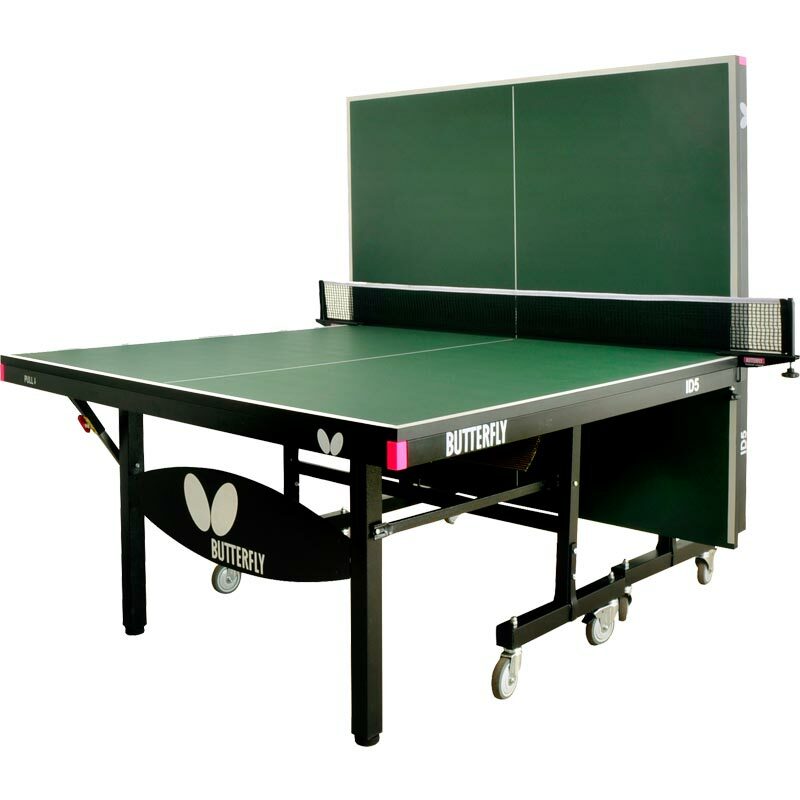 Dimensions in use 9ft long x 5ft wide x 2.6ft high (275 x 153 x 77cm). Dimensions in storage 5ft high x 5.6ft wide x 2.4ft deep (153 x 168 x 71.2cm).